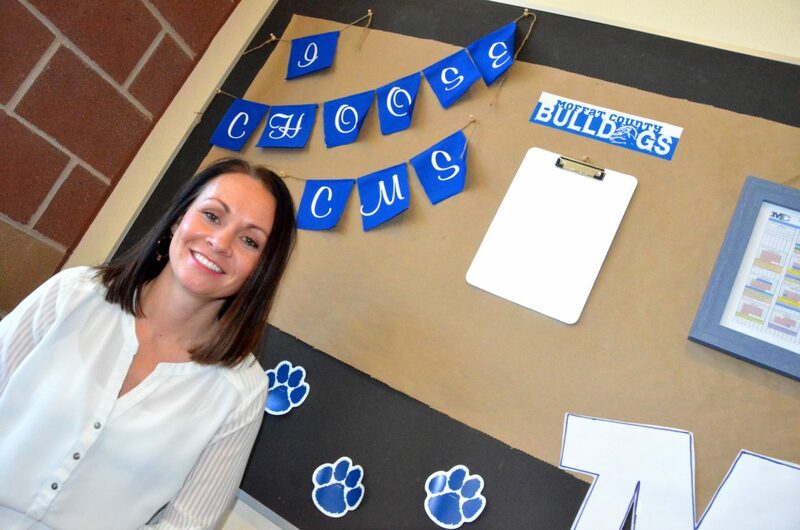 Craig Middle School's Sara Linsacum recently learned she had been named Assistant Principal of the Year by Colorado Association of School Executives. CRAIG — Though there may only be one recipient’s name engraved on a plaque or trophy, as with most awards, success comes only through a group effort. Accordingly, even if she’s the one in the spotlight, Craig Middle School’s Sara Linsacum is the first to acknowledge teamwork is the key to progress. Linsacum was recently named Assistant Principal of the Year by Colorado Association of School Executives, a Denver-based education group focused on enhancing leadership at schools across the state and recognizing superintendents, principals, and others who stand out in their career. Linsacum was first notified in late September that she had been selected as a finalist. The next step involved a questionnaire about herself and the school she represents, as well as similar input from a student, a parent, or community member and a fellow teacher. “It was kind of a full gamut of all the work we’ve done here,” she said. Feedback from her boss was also part of the process, though it didn’t take much to get his participation. It was CMS Principal David Grabowski who nominated Linsacum for the award in the first place. 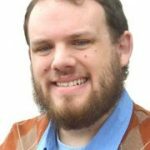 Grabowski said it was his time as a board member with CASE’s Colorado Association of Secondary School Principals that allowed him to glimpse the caliber of candidates who have received the honor in previous years. “I thought she was just as good as, if not better, than a lot of the candidates that I’d seen come across there,” he said. Grabowski cited a long list of qualifying traits his assistant principal has displayed during her time at CMS. After the initial stage, Linsacum traveled to Denver in early November for an interview with multiple administrators. On Nov. 13, she was notified she was the winner of the honor, which she said does not belong to her, alone. Linsacum — who also runs local workout spot LinsFITT with her husband, Travis — has been with Moffat County School District for the past decade, first as a kindergarten teacher at Sunset Elementary School beginning in 2008, then as instructional coach for the district from 2014 to 2016. After that, she began her role as CMS’s assistant principal and athletics and activities director. A great deal falls under that umbrella, including overseeing teams and clubs, leading the school’s technology team and its iPad initiative, organizing curriculum for English and social studies, and evaluating staff members. Linsacum said the aim in recent years has been to find the best ways to identify and enhance students’ strengths in the classroom and keep them on the best course. “What we want is to ensure that every student has the right schedule, the right teachers, the right classes, the right support system, and the right plans to support their needs,” she said. Likewise, determining the kinds of issues that could affect student performance is also an important part. Among CASE’s questions during the interview was what kind of obstacles she faces on the job, which she identified as difficulty in securing resources, especially for students in need of extra help. The period between grades six and eight can be one of the toughest for kids to handle, Linsacum said. “They need to have somebody there to have a quality relationship with,” she added. Linsacum will attend a conference in February, at which she will accept the award, and a ceremony within CMS will also take place later in the school year. Sharing the honor is of the utmost importance to her.